There’s only three days left till the vote that will decide who will host the FIS Nordic World Ski Championships in 2023. 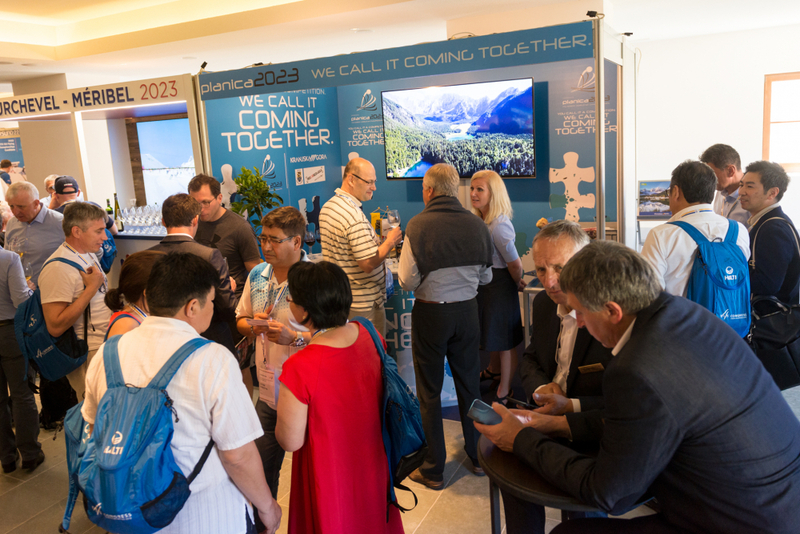 Visitors of the FIS Congress also stayed in the Slovenian camp today and discussed about the fact that Planica is perfectly prepared to host the desired competition. As usual, the stands of the candidates were also visited by the FIS Council. Representatives of Planica, Ski Association of Slovenia and of the Slovenian government ensured them once again that the valley under the Ponce mountains is worth supporting, as Slovenia has a lot of experience in organizing competitions at the highest level, but above all it has tradition, passion and wants the opportunity to show the world all the best that ski jumping, Cross-Country and Nordic combined has to offer. Planica will have the final presentation of the candidacy before the FIS Council tomorrow afternoon.